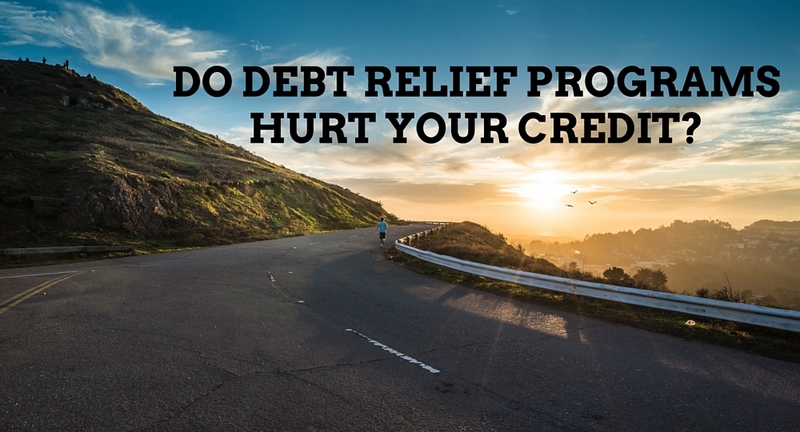 Do Debt Relief Programs Hurt Your Credit? If you have a solid credit score but have tacked on some debt, you are probably looking for a credit repair solution that will maintain your good credit and also get you out of debt. But it raises the question: Do debt relief programs hurt your credit? How far and how fast your credit score either bounces or falls is dependent on several factors, but when it comes to the question of do debt relief programs hurt your credit?—there could be both positive and negative outcomes. If you are currently researching whether debt relief options tarnish your credit, perhaps you are not in a position to be spending or to look for additional credit products. Focusing on eliminating your debt should be your top priority, and depending on the program you might choose, there could be both benefits and repercussions of debt relief. The main objective of a debt management program is to pay off your credit debt, so if you stay with the program over time, you should see your credit utilization falling into more optimal ranges. FICO attributes 30 percent of your score to this “amount of credit owed” category. If your creditors choose to close or even freeze your accounts while you are on the program, however, your available credit will equal your amount owed, resulting in a credit utilization of 100 percent. This may have a negative effect on your score, but it can most likely be mended as you produce on-time payments with the program. Although some programs don’t report your enrollment in their debt management program or take any sort of action that might alter your credit score, some creditors may report that you are participating and some can display if you have chosen to shut down your account. Closing several cards at once can negatively affect your score as well. To grasp how impactful the effect of closing your accounts can be, we’ll take a look at the primary factors that determine your credit score—history of timely payments, length of credit history, kinds of credit and new credit cards—and see how getting on board with a debt management program may affect them. With brand new credit cards, such as recently opened department store cards, you most likely will be locked out of new, unsecured credit products for the entirety of the debt management program—meaning an average of 4 to 5 years. You’ll appear unreliable if you have opened up several new cards, yet a debt relief program should most likely have no impact on your score, with 10 percent within this category accounted for by FICO. Having experience with various types of credit—including mortgage loans, auto loans and individual credit cards—will prove to lenders that you can pay these off in time and have a diverse (but responsible) history. FICO deems this a 10 percent portion of your score, and it shouldn’t carry much weight if you are using a debt relief program. If you have demonstrated a history of untimely credit payments, and you are planning to enroll in a credit relief program, it may be difficult to acquire financing during the program. Because this trend typically causes your credit score to suffer, a debt relief program will help you get in the habit of making on-time payments. This category accounts for 35 percent of your FICO score—the largest portion—but a debt relief program would eventually help you boost your score by getting used to producing bill payments on time. Overall, working with a debt consolidation company will most likely help you consolidate the debt you currently owe, letting you pay it off faster and with less interest involved–so your credit rating will usually be positively affected. Consolidating your debts will show as already paid debts with balances of zero, which can boost your credit through a debt relief program. Furthermore, if everything stays consistent during the program, such as your on-time payments, your credit history (which will have been rebuilt over several years) should be cleaned up and your credit score in good shape. So, do debt relief programs hurt your credit? Whichever route you choose to eliminate your debt, remember that the ultimate goal is to be able to save and invest for future plans. If you can finally drop your credit balances down to zero, the minor hit to your credit may be worth the debt relief program. Keep track of your credit and consider getting a secured card, as well as scheduling a consultation with Go Clean Credit. Before your snapshots in front of the “SOLD” sign, before the keys are in hand, before the furniture shopping trips—buying a house requires a healthy credit history. Constructing a credit history that proves a pattern of on-time bill payments for at least a few years puts you in a powerful position: if you can successfully qualify, your financing could measure at least 90 percent of your desired home’s purchase price. Here are four ways homebuyers can build good credit in order to obtain a home loan. Make sure you have apartment rental present on your credit history. Mortgage lenders will request proof of your current housing expenses, and a solid rental history—verifiable by a landlord or property manager—can help you qualify for your home mortgage. One of the best ways homebuyers can build credit is to pay rent with either debit or check so that bank statements reflect proof of all payments. Your payment history and what you owe now is about 65 percent of your whole credit score, according to FICO. Adjusting those stats before you buy a home can help improve your credit—and it begins with paying off debt and planning a budget. Stop using credit for major purchases; rather, reserve your credit card only for small buys that are simple to pay off and thus will make you appear less risky with credit. Making big financial decisions can lead to a debt increase, which will tarnish your credit—and one of the primary ways homebuyers can build good credit is to save up a regular amount each month, depositing it into your savings account. You might consider automatically directing a portion of your paycheck to a lending institution, accumulating a chunk of savings to cover a portion of your expected mortgage payments. 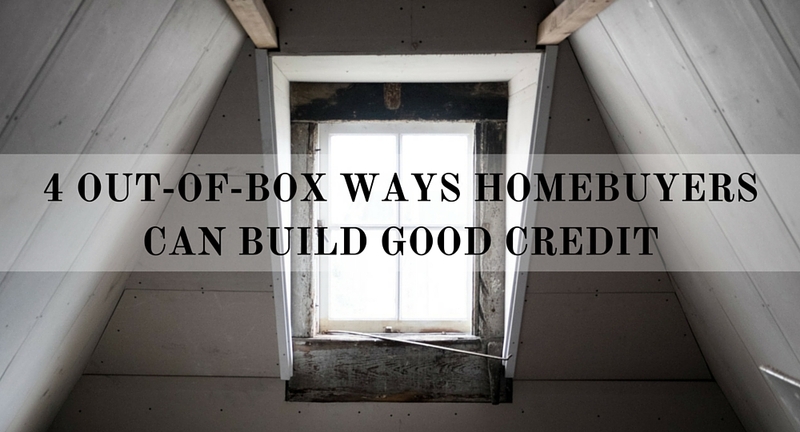 This method will pin you as more credit-worthy than someone with no savings, since you will be able to afford at least several mortgage payments to start. Rome wasn’t built in a day. Credit won’t be, either. Don’t rush anything. Repairing your credit takes time—and building up a good credit history can’t be done in a short window. One solid method to save up and build better credit is to spend no more than 30 percent of your monthly credit limit. Plan out a budget to pay off any debts, and if you have a tendency to miss monthly bill payments for your credit, set up an auto-pay system. Missing payments can label you as a risk when applying for a new house. Your department store credit card won’t help. Ditch the store credit cards. One of the major ways homebuyers can build good credit is to stick with major credit cards, as store cards are seen as unfavorable to credit scoring, and they’re usually paired with high interest rates. If you have a weak credit history, credit repair services such as Go Clean Credit can help you boost your score and polish your credit history. Before meeting with a credit expert, there are a few things to get in order before you discuss repairing your credit. Aside from bringing your credit report along, you’ll need to brush up on your own credit history to best carry the conversation forward with your credit expert. Be wary of using a third party to pull your report, as it will impact your credit score. To safely retrieve your credit report, consider using a site such as PrivacyGuard.com. When meeting with a credit repair expert like GoCleanCredit, you can provide them with access to your credit history. The items within your credit history need to be evaluated before meeting with a credit expert so that you can lay out your history as well as near-future purchases. Often, what you assume will drive the score one way or another is unpredictable because the credit score is so complicated. Some clients have a history riddled with 10 mortgages and all sorts of purchases. Your credit expert will want to know which loan goes with which property, or if you filed for bankruptcy, to understand the details of your credit history. What does your past credit timeline look like, and do you have any large buys coming up that would require a better credit score? Review your report and be able to match your major purchases in the past with the details so that when meeting with a credit expert, you can easily discuss the ins and outs of repairing your credit. Being able to fully evaluate your credit history—and pair it with your lifestyle choices—will help a credit expert determine where your credit stands and where it needs to be. How committed are you to adjusting your lifestyle and spending habits? 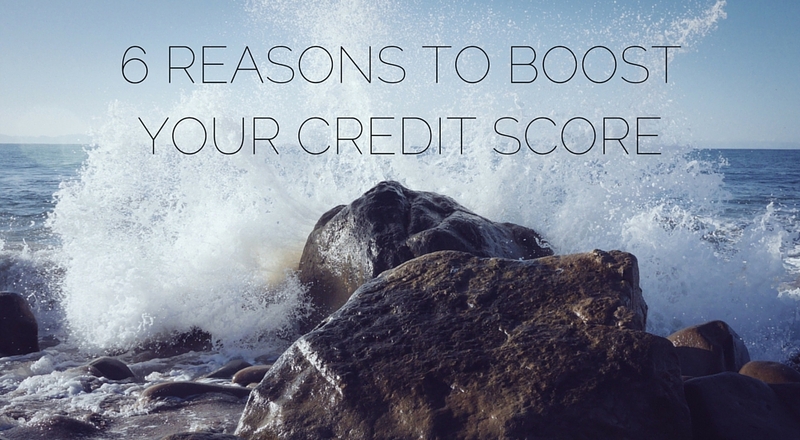 On your priorities list, where does having good credit stand? If you’re stuck in the middle of a crisis, perhaps in crash-and-burn mode with your finances in turmoil, and you stopped paying bills three months ago—you’re not in a position to be meeting with a credit expert to go over your credit report. That’s a time to figure out how to get out of debt. Once your hectic financial situation has settled down—and if the crisis was more a rare event than a habit when it comes to your credit history—then it’s a good time to sit down with a credit expert like the professionals at GoCleanCredit. 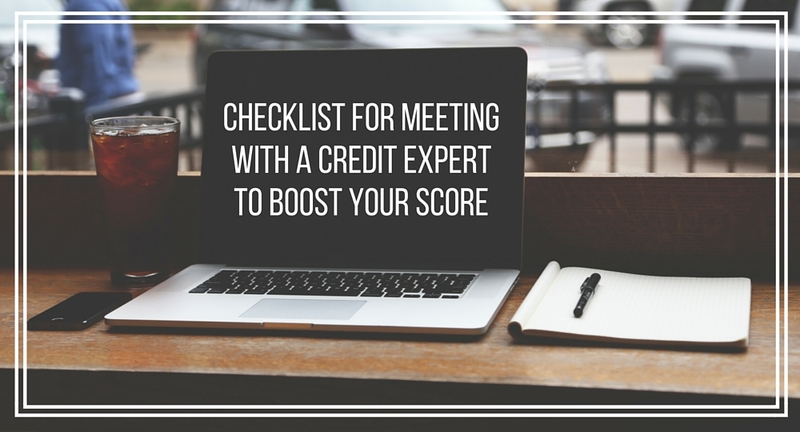 When you have gotten your affairs back in order and are mentally prepared to turn over a new credit leaf (perhaps toning down your lifestyle in a way that doesn’t involve using credit for all your purchases), then it’s a perfect time to schedule a meeting with a credit expert. If you’re dealing with lower credit than you’d prefer, it’s time to boost your credit score to a healthier level. There are several reasons why you should work on bringing this number back up, outlined here to help you decide what your next step will be. If you’re purchasing a new house or renting an apartment, you will have to pay a higher interest rate with a lower credit score. Arranging for a better credit score is a necessity before financing a new place using a home loan. Landlords will see that your timeliness in paying past credit bills will be a positive asset in renting one of their apartment spaces, so improving your score can paint the best image of your dependability and lower risk. Many car buyers choose to take out a loan when financing a new set of wheels. If you have a history of bad credit, however, you may find it harder to take out a loan. On top of that, you may be required to present a larger down payment than if you had a good credit score. It’s important to boost your credit score before buying a car to also make sure that your insurance is potentially lower than it would be with bad credit. Because bad credit scores can sometimes be harder to bring up than to bring down, it’s important to mend your credit history before it turns into a downhill slide. Thanks to credit repair services such as GoCleanCredit, you can boost your credit score up to a healthier number before it gets worse. To finance a small business, you first must prove you have a sufficient enough credit score and credit history that you can handle a new business’s finances. Lenders, after seeing your credit score, might see that you are qualified to make smart financial decisions and therefore can successfully run a business. Because the accounts may be tied when taking out a loan or financing something on the pricier side together, your poor credit score may negatively affect your partner’s ability to qualify for the purchase. To be able to finance joint purchases (and to keep the romance going), it’s a smart move to improve your credit score. Once you’ve decided to boost your credit score, it’s a good starting step to practicing healthy spending habits. With a higher credit score, you’re often more capable of making smart financial decisions with your card because you know how you arrived at a lower credit score. You also know the benefits of having a higher score, so you may work to maintain a better score and avoid any dips or fluctuations. Signing up for a credit card shouldn’t be an oversimplified process. There’s fine print to read, potentially hidden fees to pay, marketing tactics masked as benefits—all pitfalls of credit cards that every cardholder should address before selecting one. Avoid the following three mistakes that are often made with credit cards, and you’ll be set on a responsible and sensible path to clean credit. Consistently missing due dates for your bill payment can rope you into more than just fees. One of the major pitfalls of credit cards is forgetting to pay monthly bills in the allotted time before it turns into late fees. Because credit card interest rates can fluctuate (but many usually hover between 10% and 15%), it’s important to keep tabs on what that rate is so you avoid running into debt. Fully paying off your card balance in full each month—and not ignoring your bills in the mail—is one important step in avoiding the pitfalls of credit cards; if you pay off only your minimum of $38 but your balance rests at $1,100, you may still be charged a high APR (and interest rates can tend to be higher on rewards credit cards than regular cards). If you’re only choosing a credit card based on its appeal—perhaps it features your favorite sports team or offers cash back deals—then you have more research to do. Read the fine print, figure out if the card’s potential uses (travel, store discounts, etc.) will benefit you or hurt you in the long run. Setting out to spend massive amounts of money only to be rewarded with minimal benefits is an unwise practice when it comes to avoiding the potential drawbacks of credit cards. Treating a credit card as an investment, or viewing it as spilling over with benefits as long as you charge plenty onto the card, can lead to hefty debts and fees. Check before deciding on a card if there are annual fees, what the APR amounts to, if the card is accepted at your list of frequently shopped stores and how the benefits measure up to the costs of the credit card. Spending hundreds each month in order to eventually collect a reduced airfare or a free concert ticket once in a blue moon may not make sense for your budget, so remember to do extra research and don’t let a credit card’s marketing ploy win you over. One possible detriment to your bank account as well as your credit score comes with maxing out your card. Spending the limit on your card is seen as one of the major pitfalls of credit cards because you are seen as high risk in the eyes of the card issuer—who may, in turn, lower your credit limit and hike up the interest rate. If your credit utilization ratio (the percentage spent out of your total available credit balance) exceeds 30 percent, credit card companies could deem you high risk and you may need credit repair. 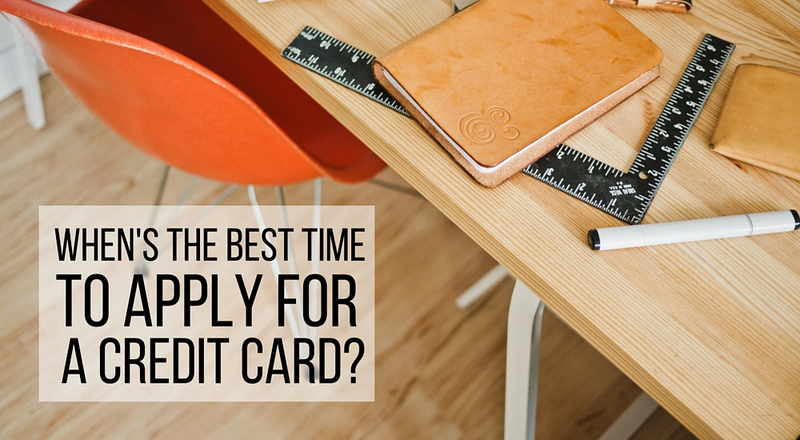 When’s the best time to apply for a new credit card? While some say there’s no real “best time” to apply for a credit card, there are several life circumstances and credit card offers that can translate into the perfect opportunity to apply for a card. It’s crucial to know the best time to apply for a new credit card so as not to rack up fees, or miss out on promotional deals upon signing up. Of course, there isn’t a specific month or day that will point you to the best time to open a new account–but certain life events can signal the ideal moment for you to apply. Are you looking for the added benefits of miles or points? If you have any debt as a cardholder, you’ll want to choose a card with a low interest rate. For those seeking the bonuses of rewards points or store discounts, finding the card that offers the best added benefits and return on spending is an element to consider. If you’re seeking to finance something such as a car in the near future, you might benefit the most from first signing up for a credit card with 0% APR promotional financing. Many of these credit offers feature interest-free financing on new buys as well as balance transfers. Because most cards usually require a small balance fee—often around 3 percent—cardholders can take advantage of an offer like this and use the new purchase financing without having to pay the balance transfer fee. If you have a history of poor credit, you may have to boost your credit score before applying for a new card. One way to keep track of your account fluctuations and repair any credit losses is through credit restoration services such as GoCleanCredit. Knowing the best time to apply for a new credit card means ensuring your credit score has improved enough to open a new account. If you are deemed “currently employed” when signing up for a new card, you’ll qualify for better terms on the credit card than if you were unemployed. However, this should be approached with caution for cardholders; incurring debt at such a delicate career point could be a slippery slope for your financial state. Make sure you are in the safe range of “employed” before applying for a new credit account. Before applying for a mortgage, a cardholder should ensure that a clean credit history is in order–and after the mortgage is closed, it could be the best time to apply for a new credit card. Because a home mortgage is such a significant loan, it’s important to make sure you have excellent credit before closing on a mortgage and not applying for a new credit card until after it’s closed. That’s why services like GoCleanCredit help you restore your credit in order to face life’s various purchases with a clean credit score, thus labeling you as less of a risk to credit card issuers. When it comes to college students and building credit, “down the road” translates to right now. You may not think it’s an important concept until long after graduation, but college is really the perfect time to start building credit. It’s the timeframe preceding the real world, during which any graduate will need a solid credit score to start the bill-riddled adventures of adulthood. 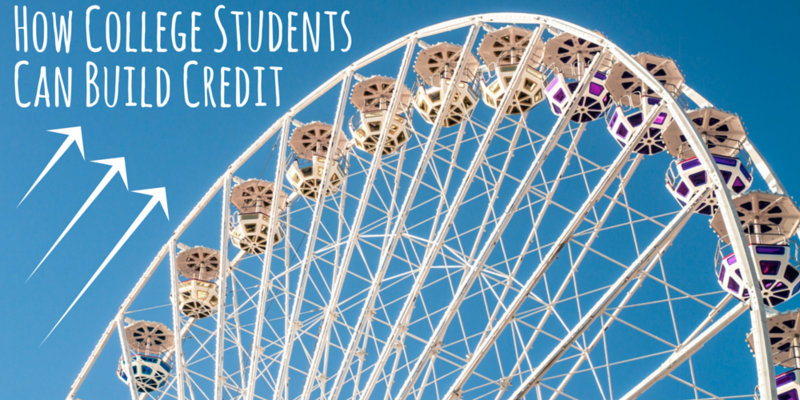 Read on to discover how college students can build credit effectively. Start out on a parent’s credit account as an Authorized User. Contrary to what you may have heard, authorized user accounts do count in a person’s credit score under most scoring systems, including the FICO® Classic 4 version that is used for all mortgages today. We have seen this first hand for many years. Even future FICO® models will continue to include these accounts in scores if the card holders are family members. Why do it? Basically, once your parent’s account is reporting on your report, FICO® will count its credit limit, age, payment history, and balance as though it is yours. It creates instant history that can boost scores significantly. This only works if the account being added has perfect payment history, age (the older the better), good credit limit, and the balance is paid low each month (ideally less than 10% of the limit). Is there any impact to your parent? No. Your parent can have the new card sent to them. Once they receive it, they should shred it and you will never have the ability to use the card. 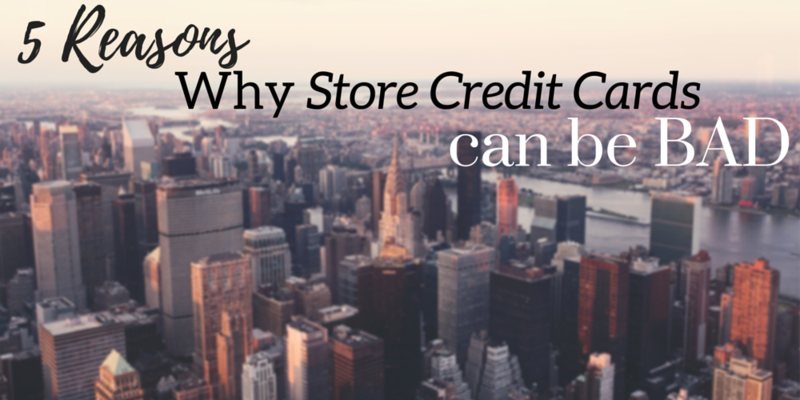 It will only have the purpose of helping you build credit history. The parent’s account being added as an authorized user will impact the student’s credit; the student’s credit will never impact the parent’s. Of course if your parent ever goes late on the card, those lates will also report on your credit, and you would want to be removed as an authorized user and ask the bank to remove the credit reporting. Open a $300 secured card to begin building your credit history. You will need to put down a $300 deposit that you won’t get back until a year or two of good payment history. If you already have an authorized user account reporting, there is a chance you may be able to be approved for an unsecured card (no deposit) with a low limit. Use the credit card for infrequent, inexpensive buys. A tank of gas here, a few groceries there—not a car here, a yacht there. It’s also crucial not to neglect the card in a drawer and avoid using it entirely. Once again, minor, occasional purchases that are promptly paid off in full make for the best credit—and college is the best time to start putting it to practice. And it is best to put your payments on auto-pay; a new 30-day late payment can drop your score up to 110 points! Apply for just one card at a time. Accumulating credit cards is a poor habit, especially in a short window of time—as it greatly lowers your credit score and may require credit repair later. This is one of the most important factors of how college students can build credit, and not lose it. Three credit cards is an optimal number that you should try to keep below. It never helps your credit score to close a credit card so do some research once you’ve developed a good score, and pick a card that you can see keeping open for a long, long time. Pay off the balance monthly, and pay all your regular bills on time. Putting off your payments as a college student can diminish your credit and accumulate debt. Making minor purchases and paying them off diligently is an important element of how college students can build credit. Avoid ever exceeding your credit limit (that will lower score), and keep track of your purchases and card payments to help boost your credit score. Look for a student-specific credit card. This makes up an essential piece of how college students can build credit; a new college-age cardholder might benefit most from late payment reprieve, no annual fee, deals like cash back, travel perks and several methods for redeeming rewards. Some cards allow students to redeem student credit card rewards on websites to pay for textbooks and even dorm essentials. The moment a co-signed friend makes a credit misstep—such as forgetting to pay a bill or amassing too much debt—you’re held liable as well, and your credit score will plummet. Update your personal information as is necessary. College might mean periodically moving from dorm to dorm or house to house, so ensuring that you keep the bank informed of your changing addresses is a must when it comes to how college students can build credit. Otherwise, it could result in skipped payments and fee pile-ups (two things you don’t want to have when joining the real world). Signing up for a different store credit card at all of your favorite chains can be risky business—subsequently tacking on higher fees, fewer savings and dissolving your credit score with each new card. These store credit cards can quickly empty your pockets because they normally have low credit limits, making it simple to exceed those limits and rack up fees. Here are the top five reasons why store credit cards are bad news (and may require credit repair later). Shopaholics: these cards can be fuel to the spending fire. The masked benefits of a 10% discount on your store purchases can induce the temptation to spend. Store credit cards are bad if you’re trying to stifle your spending—they’re the blinking light that your mind might see as the “A-OK” to start purchasing, but it’s really an excuse to hit the stores and spend irresponsibly. The prospect of 10% off store items might sound like a sweet deal at a glance, but if you’re not diligently paying off your bill each month, it can become a slippery slope into debt and absurd extra fees. If you pile on various store credit cards, it can count against your credit score. 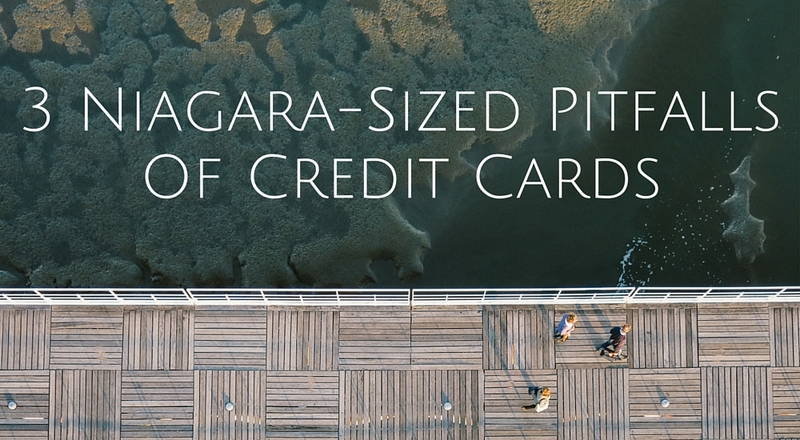 Ideally, you should have just three open credit cards. An expensive purchase is also veiled to seem less pricey; a store credit card will perhaps shave off $30 from a $300 purchase, which appears to deliver a nice price drop. The long-run numbers, however, might tell a different story: you’re then tempted to purchase at steeper price points, thus planting the seed for excessive spending and the 10% discount can become more of an expense than an investment. You may save money in the moment, but you’ll probably pay more in the long run. Store credit cards are bad for your wallet, thanks to their ghastly interest rates. Annual percentage rates on store credit cards are bad, leaving you with higher payments and fewer actual good deals on your purchases. An average APR can total about 22.99% with these cards, whereas somewhere between 10% to 15% APR is typical for a regular credit card. These store credit cards typically have little to no grace period, which means the interest starts to accumulate the second you first swipe your card. Your first bill for a store credit card often already comes with a high finance charge. Even just applying for, cancelling or swiping a store credit card can affect your credit score. Applying for a store credit card runs a credit check, which can change your credit score right there in line. Simply applying for these cards can lower your credit score for an entire year, even without activation. Mainstream (FDIC) bank credit cards can help your credit score more than store credit cards. That’s why it usually makes sense to stick with the big names when it comes to your credit score. It’s necessary to be diligent about store credit card payments, or they can add up and affect your pockets as well as your credit score. A store credit card is one more thing to keep track of, and if you have more than one such account open, it makes for more to remember to pay off or to present at the register. Missing out on the discounts you set out to attain in the first place—and instead paying interest on the card—can be a poor spot to find yourself in. The longer you’ve had credit, the better. Newly activated credit cards will decrease the average age of all your credit accounts combined, which may lower your credit score. Again, keeping the credit card count to a minimum is more beneficial for your credit score. If the credit card count stays at two to three, you’ll most likely hold fewer credit-driven regrets. Don’t ever open a new store card just to get a discount on your purchase that day. It can hurt your credit score and make you tempted to spend more than you would otherwise. “FICO high achievers” that have scores over 800, opened their most recent card at least two years ago and the average age of their accounts is 11+ years. If there is a store you shop at regularly, and you want to a card, you may want to inquire if their card is through an FDIC bank (for example Sears and Costco are Citibank cards); credit scoring will treat them like bank cards. Never get a card through a finance company (a non-bank); credit scoring does not like finance companies. Most of all, don’t pay interest – only charge what you can pay off that month. Also remember that it never helps your credit score to close a credit card once opened.